"Athletes come in all shapes and sizes," but nothing emphasizes that more than a recent photo of two vastly opposite Olympians currently floating around Twitter. Nicknamed the "Michael Jordan of gymnastics," Simone Biles stands only four feet and eight inches tall. And when stacked up against towering volleyball star David Lee, the height difference is gigantic. READ MORE: Everything you need to know about the Olympics... in one place! 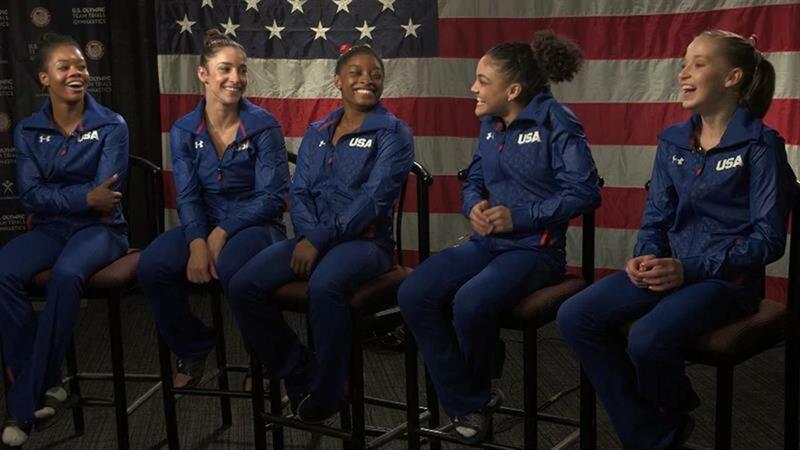 She may stand under five feet tall, but Biles is one of the most feared Olympians in Rio. Lee, a 6-foot-8 volleyball gold medalist is chasing yet another title. Biles begins competition on Sunday, Aug. 7 with Lee and the rest of the USA indoor volleyball team starting on the same day. Now... how about a photo of Biles next to the USA Basketball team? !